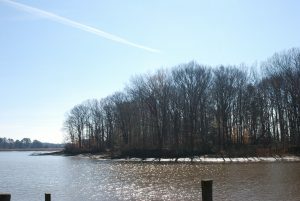 The Maryland Environmental Trust helped Expressway Corp. permanently protect its 119-acre farm along the West Fork of Langford Creek in Kent County. Expressway Corp. donated the conservation easement on the property forever protecting this important farm and forest land on Maryland’s Eastern Shore. In the vicinity of more than 2,000 acres of protected lands, the easement is located in an area dominated by farm and forest land. The approximately 39 acres of agricultural land, 60 acres woodlands and 12 acres of meadow of the property are an integral part of the area’s rural setting. The Maryland Environmental Trust works with landowners, local communities and citizen land trusts to protect Maryland’s most treasured landscapes and natural resources as a legacy for future generations. The trust holds over 1,000 conservation easements preserving over 130,000 acres statewide.